← Would You, Could You . . . It will be a weekend filled with music here in Mineral Point, Wisconsin. 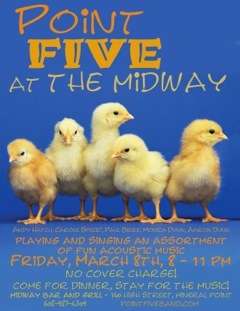 Not only is the High School putting on “Seussical the Musical” (see previous post “Would You, Could You“) but on Friday night (3/8/13), you’ll find Point Five at the Midway Bar & Grill from 8-11pm (for more info about the band see our previous post “Gimme Five“). This is the perfect way to unwind after a long, snow-filled week. Below is a photo of Point Five in action at the Midway. It can get a little crowded, so you might want to leave your big, puffy coat at home. 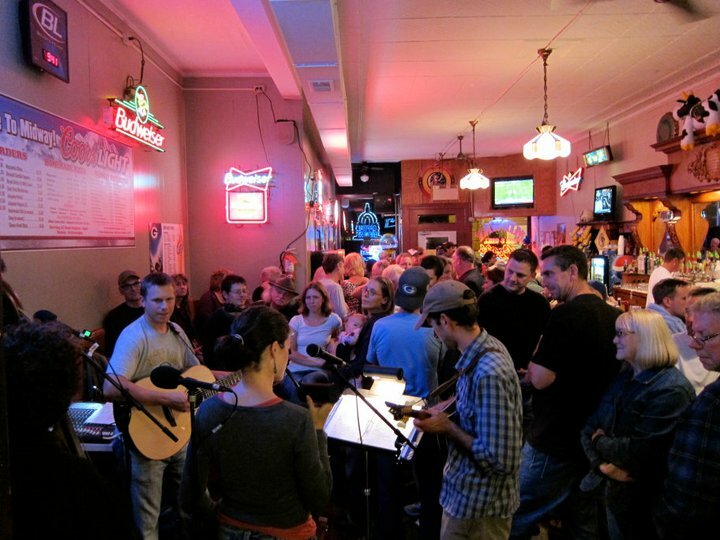 Come early for the fish fry or the award winning pizza and stay for the music. 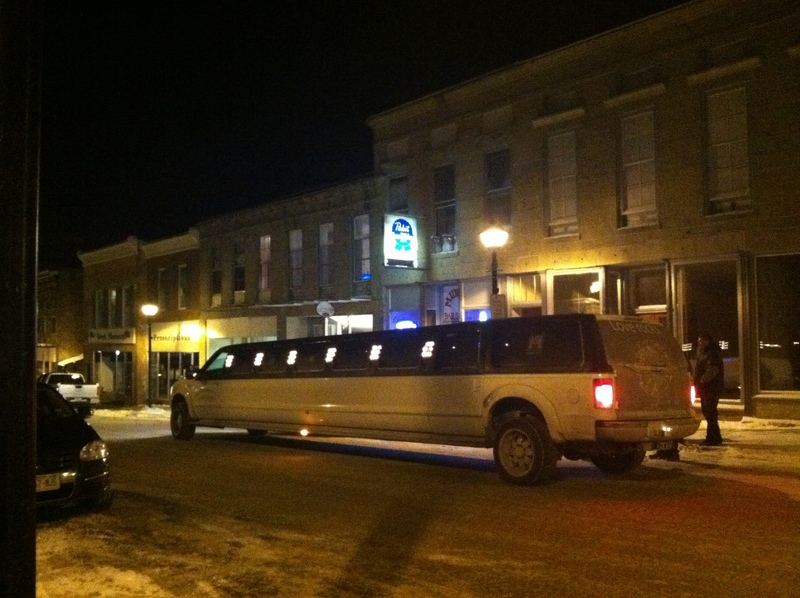 Gallery | This entry was posted in Entertainment, Music and tagged Midway Bar & Grill, Mineral Point, Point Five, The Hays, Wisconsin. Bookmark the permalink.